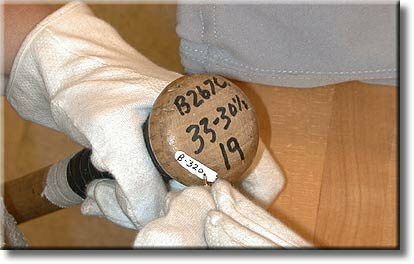 Applying Numbers to Collection Objects covers the materials and methods of object numbering: registration, handling, labeling and marking, number placement, documentation, health and safety, transponders and barcodes, surface marks, inks, paints and barrier coats. Each participant receives a Northern States Conservation Center collections labeling kit and performs experiments using its contents. Participants learn to determine what pen, ink, barrier coat or tag is appropriate for each object and storage or display situation.